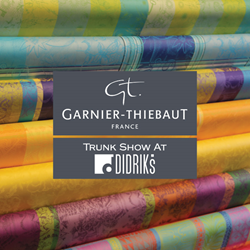 Tabletop and outdoor furniture store Didriks will be launching the New Garnier-Thiebaut Spring and Summer collections during their 2nd Annual Garnier-Thiebaut trunk show at their Newton Lower Falls location. New Garnier-Thiebaut Spring and Summer 2016 Collection. 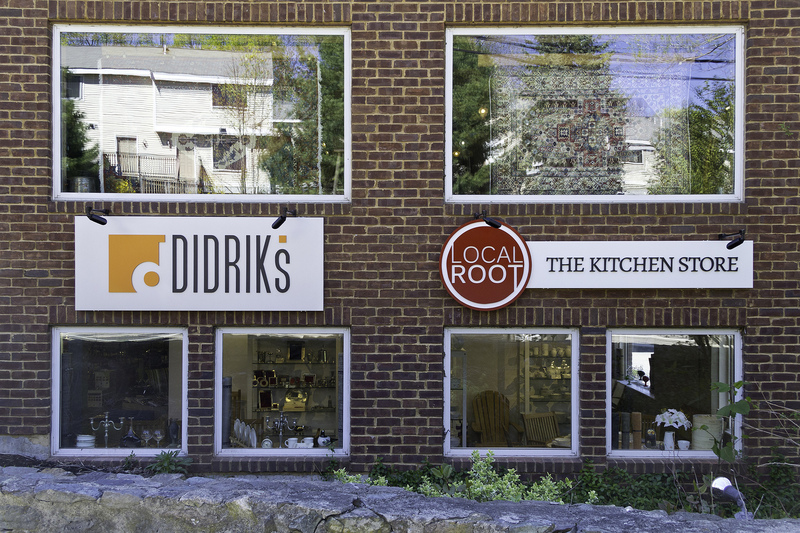 Tabletop and outdoor furniture store Didriks will be launching the New Spring and Summer collections for Garnier-Thiebaut during their 2nd annual Spring Trunk Show. 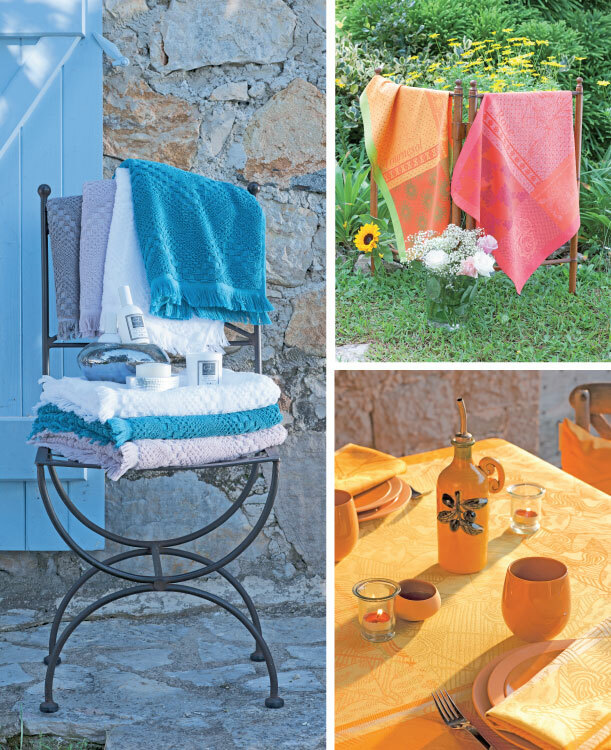 Didirks offers a broad range of these luxury french linens including cotton tea towels, napkins, and tablecloths as well as their patented coated tablecloths in dozens of patterns and styles. The coated cotton tablecloths are available made-to-measure and can be cut to size on site. Didriks owner Jonathan Henke mentioned he is "most excited for the new colors and patterns in the coated table linen collection". The bright, bold designs are perfect for everyday use and outdoor entertaining. The trunk show will be the ideal opportunity to invest in these beautiful, easy-care table linens. 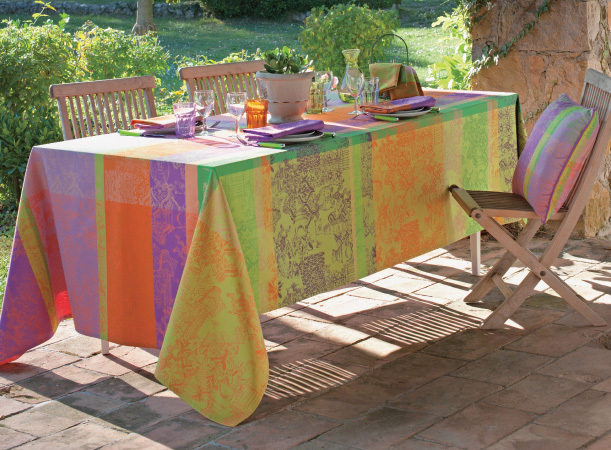 The Mille Patios provence coated table fabric offers a flower pattern with vibrant colors that creates a playful look for any table. 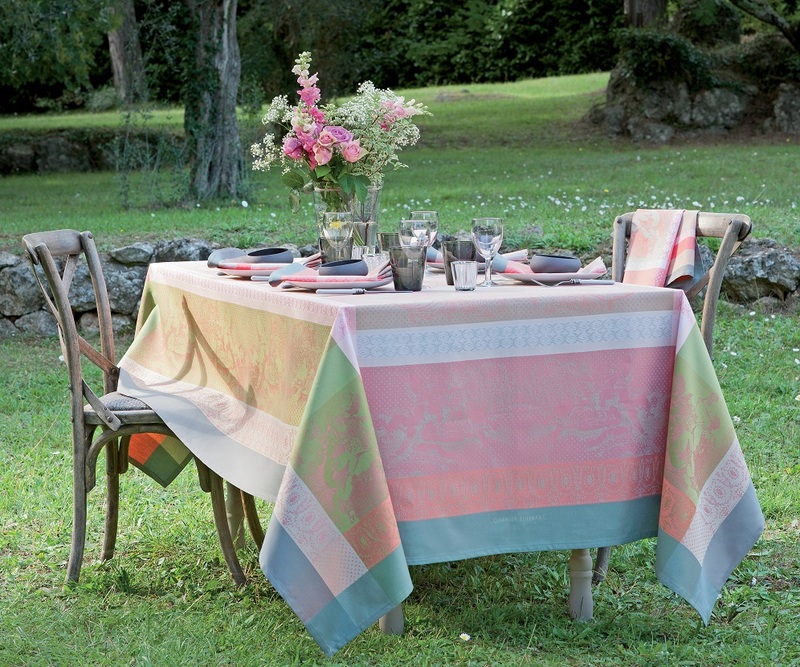 The Green Sweet technology Amours Pistache tablecloth is not only water repellant but also beautifully crafted with soft pastels and classic French patterns. Both will be available at the trunk show. The trunk show will be held at their Newton Lower Falls location, March 12th and 13th. In celebration of the product launch Didriks will be offering 20% off all Garnier-Thiebaut stock. This offer will also be valid at their Cambridge location and online using promotional code GT2016. Since 2004, Didriks has helped customers create inspired home environments, showcasing fine outdoor furniture, tableware and home decor products sourced from the United States and Europe. Online at Didriks.com.